Papua New Guinea is a highly disaster-prone country, currently ranking 9th on the World Risk Index. It has been severely affected by the El Niño effect in 2015 and 2016, which has caused prolonged drought in the country, affecting thousands of people throughout the country since April 2015. In addition to conducting MISP trainings (through UNFPA’s own resources), the Papua New Guinea country office has prepositioned RH kits as part of Phase 1 in regional Area Medical Stores in Mt. Hagen (Western Highlands Province), Lae (Morobe Province), and Madang (Madang Province). Nine types of RH kits remain prepositioned in these locations and UNFPA has received approval from DFAT to distribute four types of kits for the El Niño drought response. 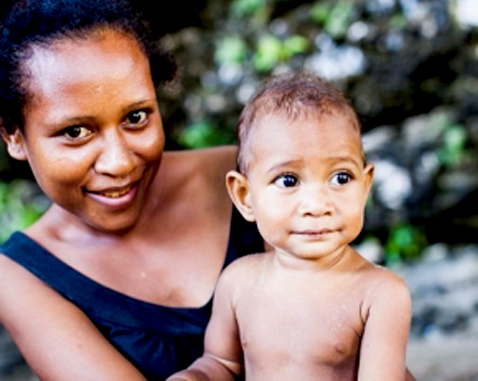 UNFPA will therefore not be prepositioning additional RH kits in Papua New Guinea in Year 1 (2016–2017), and will re-assess needs for Year 2 (2017–2018) at the end of Year 1 in June 2017.